Thanks to Joni's Patriotic Graphics. SYNOPSIS: When Douglas Aircraft created the A4 Skyhawk the intent was to provide the Navy and Marine Corps with an inexpensive, lightweight attack and ground support aircraft. The design emphasized low-speed control and stability during take-off and landing as well as strength enough for catapult launch and carrier landings. The plane was so compact that it did not need folding wings for aboardship storage and handling. In spite of its diminutive size, the A4 packed a devastating punch and performed well where speed and maneuverability were essential. Flying from an aircraft carrier is a special science. The limited takeoff and landing area leaves little room for error. Occasionally, tragic accidents occur, claiming lives. Lt. John S. Earle was a pilot assigned to Attack Squadron 172 onboard the aircraft carrier USS SHANGRI-LA. He launched in his A4C Skyhawk attack aircraft as part of a two plane strike mission into South Vietnam. His 9:30 p.m. catapult launch was normal as he began his initial climb. When told to climb by the "Air Boss", Lt. Earle responded, "Roger, Boss, I'm trying. It just won't climb." His aircraft was seen in a slow descent and seconds later impacted the water 2-3 miles ahead of the ship. The area was thoroughly searched by destroyers and helicopters throughout the night and following day. The search was unsuccessful. The exact reason for the accident will perhaps never be known, but whatever happened was obviously beyond his control. Lt. Earle was placed in a missing status on June 22, 1970, which was changed the next day to Reported Dead/Body Not Recovered. He is listed among the dead as he obviously did not survive the downing of his aircraft. 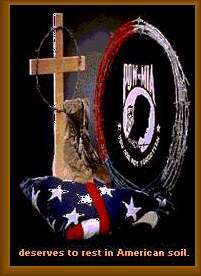 He is listed with honor among the missing because his remains could not be found. Other cases of the missing are not so clear. Many were known captives, some were photographed in captivity. Many were in radio contact and in good health as they described their imminent capture. Evidence mounts that many of these men are still alive waiting for the country they served to bring them home. While Lt. Earle may not be one of them, one can imagine him proudly taking one more flight order from the Air Boss to bring them home. 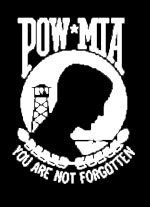 "All Biographical and loss information on POWs provided by Operation Just Cause have been supplied by Chuck and Mary Schantag of POWNET. Please check with POWNET regularly for updates." Animated Flags by The Animation Factory.